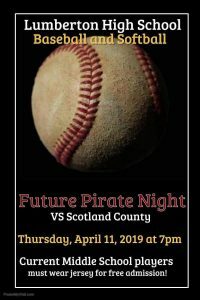 Bring your future Pirate(s) out Thursday night, April 11th at 7 pm to watch some fantastic high school softball and baseball! Current middle school softball and baseball players get in free if wearing their jersey. Great food, great family atmosphere, great games…great Pirate experience! See you there. 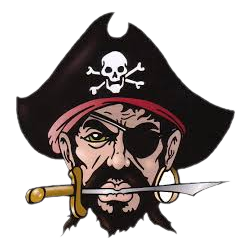 Go Pirates!